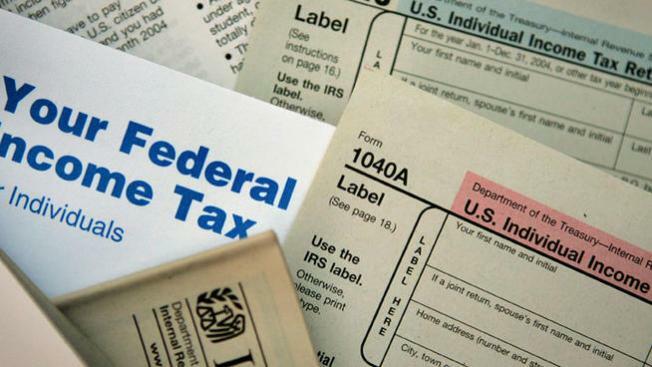 The US Treasury Inspector General for Tax Administration says that the IRS needs to do more to educate American taxpayers about the implications of the new Federal Affordable Care Act that will extend health care coverage to millions of uninsured Americans beginning in 2014. J. Russell George says he’s concerned that the Internal Revenue Service is making plans to implement the new changes but hasn’t adequately informed the general public about what’s coming and how it could directly affect them, especially potential tax returns uninsured taxpayers might be due. It is the law just about every American has heard about. But it is a law that experts say few people, outside tax lawyers and certified public accountants, know many details about. It is the new US Affordable Care Act, otherwise known as the Federal Healthcare Law. Congress designed the law to make sure as many as 30 million workers nationwide who are currently uninsured, including 3 million in California, will be able to obtain affordable health care insurance for their families. But many people may not know that the law comes with a catch if you choose not to buy health insurance. “Many Americans do not realize the extent that the Internal Revenue Service will be involved in the implementation of the Affordable Care Act,” said the US Treasury Inspector General for Tax Administration George. And if you’re not insured it will impact your tax return for the tax year 2014 and beyond. “You think about it, you think ‘OK, “health insurance” nobody’s favorite topic and “taxes” nobody’s favorite topic’ and we’re putting them together,” said Catherine Teare with California’s HealthCare Foundation. Teare is a Senior Program Officer of Health Reform & Public Programs Initiative at the California HealthCare Foundation which is working to support implementation of health reform and advance the effectiveness of California’s public coverage programs. As such she is intimately familiar with how the new federal health care law will be implemented in California. Then there is the enforcement role that the IRS will play in making sure everyone who qualifies under the new law must buy insurance or have it provided for them through their employer. It is that enforcement action part of the IRS’s new mandate that could impact millions of people in coming tax years whether they know it or not. And the Treasury Inspector General worries too many people don’t know “it” right now. “I am concerned,” said Inspector General George. David Gamage, who helped draft parts of the tax provisions of the new law while working at the US Treasury Department said this enforcement is to make sure every American who can pays into the new health care system in order for everyone to share the burden of costs. “Essentially the idea is if you don’t buy health insurance you’re increasing costs for the whole health care system,” said Gamage, who teaches tax law as an Assistant Professor at the University of California’s Berkeley Law School. While on academic leave at Berkeley Law from 2010-2012, Gamage worked as Special Counsel and Senior Stanley S. Surrey Fellow at the US Department of Treasury, Office of Tax Policy in Washington, D.C. where he worked on the federal tax implementation of the US Affordable Care Act. Gamage concedes that this provision and the penalty for not buying insurance could, indeed, sneak up on taxpayers on tax day, 2015, and surprise them if they aren’t paying close attention. And that, says the man who oversees the IRS, is a problem for taxpayers expecting a full refund who could get less money than they are expecting if they can’t prove that they have health insurance. “That tax refund will be offset meaning that they’ll get less money, if any money,” said Inspector General George. Right now about 48 million people nationwide and 7.1 million people in California don’t have health insurance. Not all of them will be required to purchase insurance under the new law. As for the penalty for not buying insurance; it starts out rather small at first. The penalty for an adult will only be $95 and $47.50 for each child. But the penalties quickly rise in subsequent years and will actually add up each month that a taxpayer does not have insurance. For a list of the penalties click here. Treasury Inspector General for Tax Administration in Washington, D.C. Mr. George’s office oversees the Internal Revenue Service and conducts regular Inspector General’s reports on what the IRS does well and where it needs to improve. Assistant Professor at the University of California’s Berkeley Law School where he teaches tax law. While on academic leave at Berkeley Law from 2010-2012, Gamage worked as Special Counsel and Senior Stanley S Surrey Fellow at the US Department of Treasury, Office of Tax Policy in Washington, D.C. where he worked on the federal tax implementation of the US Affordable Care Act. Senior Program Officer of Health Reform & Public Programs Initiative at the California HealthCare Foundation which is working to support implementation of health reform and advance the effectiveness of California’s public coverage programs.